The next possibility that came to mind was the classic geometric toy,Polydron. 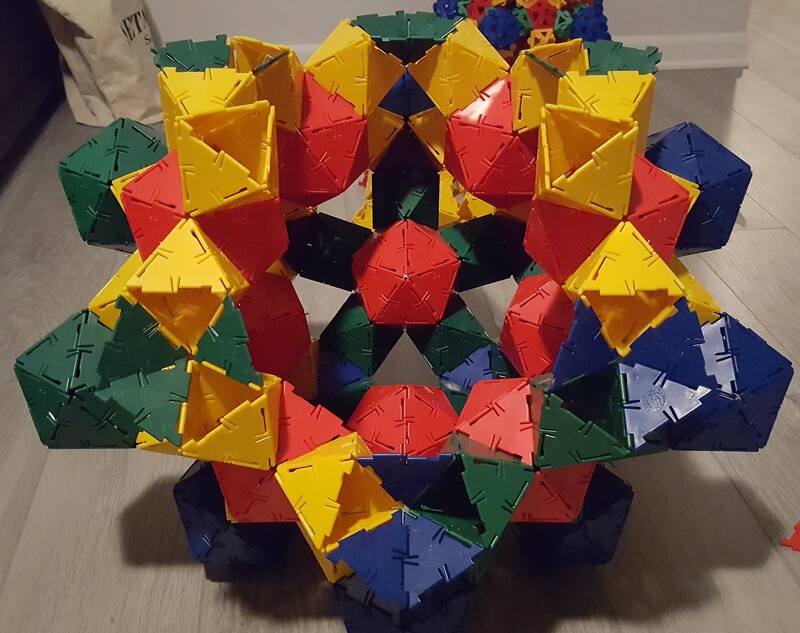 This toy consists of polygonal tiles with interlocking edges that create a sort of hinged connection between adjacent pieces. For example, here are six triangles in a row, which wrap around very nicely to allow the two ends to attach, producing the octahedron (with opposite faces missing) to be used as a connector. Did I mention we need 60 of those?